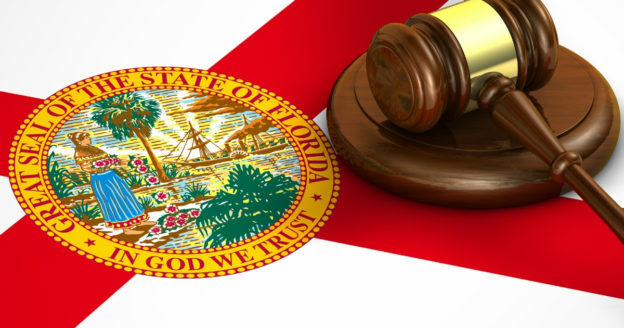 The laws that make up the Florida legal system are intended, as all sets of laws are, to cover any problems that may cause harm to individuals or to society at large. Because of their wide reach, the laws can be quite complex and difficult for most people to comprehend. However, negligence of the law rarely works as an excuse for breaking it, and civilians without legal degrees may discover lesser-known ways that the law can assist them – or hinder them. Here are three facts you did not know about the Florida legal system, as provided by the professional criminal defense attorneys at the Law Offices of Michael A. Gottlieb, P.A. Under the Florida legal system, arrest records are public, which can be the source of many complications, including difficulty applying for housing, insurance, or work. State law does provide people with the means to make their arrest record unavailable to the public (sealing) or get an arrest deleted from that record (expunction, also known as expungement). However, even if people qualify for either, their problems are not resolved instantly. Private companies can obtain this information in the time that the records are open to the public, and even after they are sealed or expunged, they can sell and disclose the details to others. To protect people’s rights to privacy, the law does provide you with two ways to deal with this. Firstly, if these companies are informed that the record in question is no longer public, they should remove that information from their archives or risk being held liable. Secondly, if anyone – interviewer, landlord, or otherwise – brings up the arrest, you have the legal power to deny that it ever happened. Its removal or concealment on the official level means that part of your past is, by law, erased from public memory. Simply getting arrested for a DUI can result in license suspension for a long time, even if the charges are ultimately changed or dropped. Depending on whether it is a first-time offense and whether or not your accept testing, a suspension may last anywhere between six months and eighteen months. Harshest of all is that it begins at the moment of your arrest, and though you may be granted a temporary permit just as immediately, it expires after ten days. However, if you and your legal defense time act quickly, there is a chance that your license will be fully restored without ever losing your legal ability to drive. You may request and be granted a formal or informal review hearing, where the Department of Highway Safety and Motor Vehicles will consider whether a suspension is warranted by the details of the arrest. They just may invalidate the suspension, which will not only let you get back behind the wheel but also serve as favorable evidence in the DUI trial. Plus, if the department fails to provide a date within thirty days of the request, the suspension is automatically invalidated. If a plaintiff faces charges for a first-time third-degree felony, they may qualify for a program from the Florida Department of Corrections, called the Felony Pre-Trial Intervention (PTI) program, instead of continuing their trial. The Office of the State Attorney’s website describes it as “similar to being on probation” and requiring “full restitution to the victim, if applicable, in addition to other conditions.” It is a way of atoning for a felony offense without it staying on your record. It should be noted that not all third-degree offenses qualify plaintiffs for the PTI program. Possession of half a gram or more of cocaine is not a charge that qualifies, and the same goes for any amount of heroin, LSD, methamphetamine, and PVP or its derivatives. People accused of violent crimes cannot take part in the program. Other excluded charges include robbery, DUI, schemes to defraud, and possession of certain drugs, among others. If more than $5000 in restitution is owed to the victim(s), the plaintiff may also be denied the opportunity to take part in the PTI program. Those are just three lesser-known details hidden in the Florida legal system. We do recommend that people who did not receive a formal and extensive education on the subject should still strive to learn more about the laws that govern them – after all, knowing your rights is a civic duty. With that said, we also understand how difficult and even tricky this can be. That is why the next best thing to knowing the laws yourself is having someone on your side who does. The skilled Broward criminal defense lawyers at the Law Offices of Michael A. Gottlieb, P.A. are knowledgeable in a range of legal fields, and we are willing to use that knowledge to assist you. Call us today at 954-462-1005 for a free consultation.